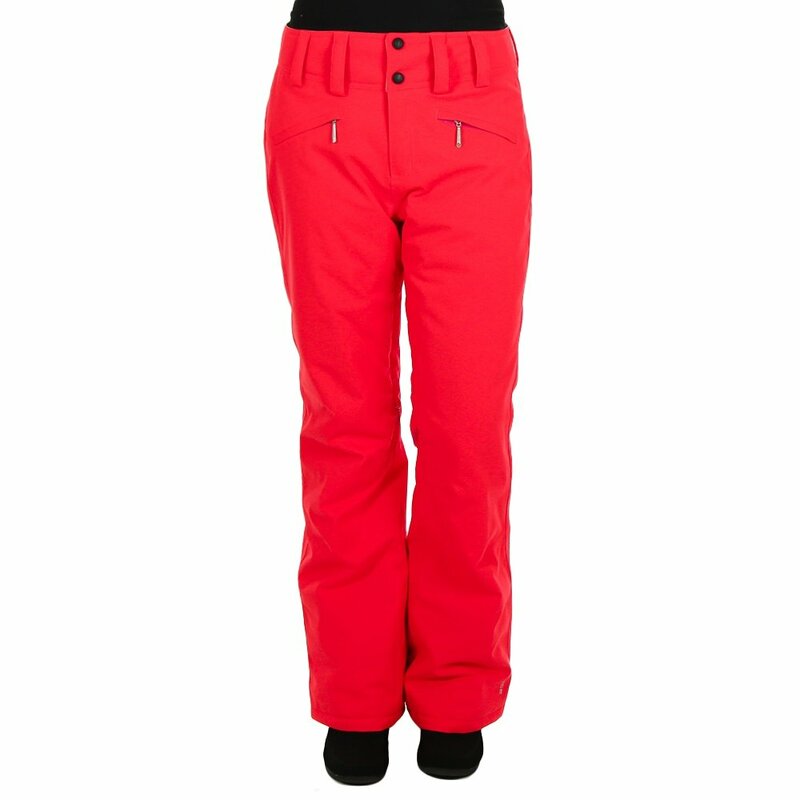 Keep those legs warm, limber and ready for the next run behind Sunice's Stella Insulated Ski Pant. 10K waterproof-breathable protection keeps snow and other outside moisture out and lets you breathe, ensuring you stay fully dry. The 80g Thinsulate™ puts a warming barrier between you and the cold air. Leg gaiters keep snow from riding up the cuffs. The articulated Stretch Tech fabric ensures that you ski your best by providing reactive movement. "Do these have some stretch?" "The Sunice Stella Pant comes with a stretch Tech fabric with articulated knees for precise fit and movement." "What is the color of the flower pant? " "The color of the flower pant is coral but does have white and purple in the flowers. We hope this information helps! " These pants are super cute, very warm and are very bright. I really like them, but they run larger than Sunice pants of the same size. I got a 4 and really could have worn a 2, therefore one star off for inaccurate sizing.